You cannot ignore, hide or un-see a Google Doodle. Once you’ve opened your browser, the doodle is there to greet you. Usually, it notifies you of a major event or an American or international celebration. Sometimes, it reminds you of a personality that marked history. So, what Google Doodles 2017 were there to see? However, there are times when the best Google doodles raise more controversy than positive reactions. 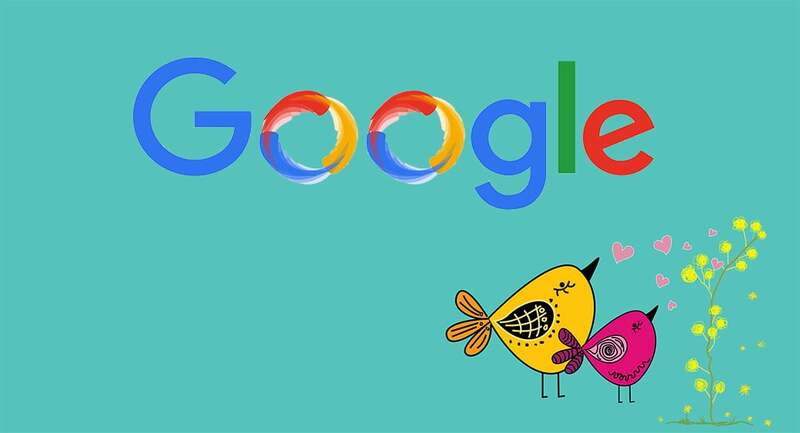 Let’s see each doodle for Google 2017 that shook the media just by being visible. But before that, we’ll dig into the roots of what is now the doodle worldwide phenomenon. There’s no doubt that Google is now the most popular search engine among global internet users. Its logo may be unforgettable, but it has been through changes that built up what the logo is today. You can learn more about the classic Google logo history and see what it looked like, back in the days of 1997. The first Google doodle was released in August 1998, and it was meant to be an out of office message. The Google doodles 2017 controversy began on January 30th, with an illustration of Fred Korematsu. Korematsu was a civil rights activist, who survived being locked up in a US internment camp. The doodle for Google 2017 marks what would have been Fred Korematsu’s 98th birthday. This day is also officially recognized in Virginia, Florida, Hawaii, and California. However, a few days before the doodle appeared, president Donald Trump announced that some Muslim Immigrants from certain countries will be banned in the US. Also, a weekend before Google’s initiative, the company’s co-founder Sergey Brin participated in protests on the topic. Some publications noted that these could not have been just coincidences. Google decided to celebrate last year’s Valentine Day with a cute, pinkish-themed video. However, the doodle for Google 2017 was not about celebrating love. Its main stars were pangolins, a species that is now endangered. The pangolin is the most trafficked animal in the world. Google developed this doodle to support efforts to save the species. Yet, many Google users were not even aware that the pangolin exist. Searches on Google for pangolins boomed on Valentine’s Day. The February 12th – 18th week is still a reference in the search engine’s activity for this word. April 17th was Easter Day for many nations around the world. As the best Google doodles are now famous, everyone waited for a visual celebration of the holiday. However, the search engine team pursued tradition and decided to show nothing. Specialists have commented on the tech giant’s lack of interest on the celebration since 2013. However, the Google team did not comment on changing the tradition on a long term. So, Easter Google doodles 2017 were there through their absence. Google celebrates the 106th birth date of the famous communication specialist Marshall McLuhan and made it to the top of Google doodles 2017. The Canadian theories had two famous theories, the medium is the message and global village. The doodle included the theorist in symbols of sound, fire, industry, handwriting and a TV screen. The Google doodle today was visible in Western Europe, South America, Australia, India, Japan and Indonesia. McLuhan’s theories raised controversy until his death. According to academy specialists, they discredited the man and the earth in a disturbing manner. This earned a spot in the unforgettable Google doodle calendar. The day’s Google doodle celebrated 100 years from the Silent Parade in New York City. In 1917, around 10,000 African-Americans marched against violence towards them. The demonstration came at a time of massive protests on African Americans’ rights. The African Americans had panels during marching which stated Thou Shalt Not Kill or Your Hands are Full of Blood. This generated many thumbs-up reactions and became one of the best Google doodles. Among them, there was a sixth-grade teacher who contacted the tech company to say thank you for the initiative. He/she also mentioned that such doodles give birth to conversations on sensitive topics in the classroom. The Google doodle today celebrates the late Mexican-American singer Selena Quintanilla. She was an entertainment icon, community philanthropist, and fashion trendsetter. Selena had a multicultural massive public which still commemorates her. The doodle appeared 20 years after Perla Campos, the global marketing lead of the doodle team pitched the project as a means to see herself represented on the Google homepage. This makes it among the list of the most impressive Google doodles 2017. Some might say that last year’s Halloween doodle was adorable and huggable, instead of scary and tricky. The Google doodle today was actually a short video showing a lonely ghost who wanted to go trick-or-treating. Jinx the ghost tries to find the perfect disguise but ends up frightening its friends. The video called Jinx’s Night Out sends a powerful message of self-acceptance. In the end, the animated ghost learns that being itself is much more fun than wearing any disguise. This is among the Google doodles 2017 that kids have been waiting for. The Google doodles 2017 are interactive and can even be shared. Many of them come with a press release and further explanations. The giant even organizes contests to allow users to submit doodles on a specific theme. Also, the search engine provides a Google doodle calendar with information about each idea. As they are visible in many countries and to a large audience, the Google doodles 2017 might continue to raise controversy over the years. Samuel Caverly is the Senior Editor of Logo Realm, a place where you will find information regarding logos, their history, and interesting details. He has an MS in Advertising from Boston University and after graduation, he has worked for many projects and firms as a freelancing graphic designer.